Leonhard Euler was one of the giants of 18th Century mathematics. He was born in Basel, Switzerland, and he studied for a while under Johann Bernouli at Basel University. But, partly due to the overwhelming dominance of the Bernouli family in Swiss mathematics, and the difficulty of finding a good position and recognition in his hometown, he spent most of his academic life in Russia and Germany, especially in the burgeoning St. Petersburg of Peter the Great and Catherine the Great. Despite a long life and thirteen children, Euler had more than his fair share of tragedies and deaths, and even his blindness later in life did not slow his prodigious output - his collected works comprise nearly 900 books and, in the year 1775, he is said to have produced on average one mathematical paper every week - as he compensated for it with his mental calculation. Today, Euler is considered one of the greatest mathematicians of all time. His interests covered almost all aspects of mathematics, from geometry to calculus to trigonometry to algebra to number theory, as well as optics, astronomy, cartography, mechanics, weights and measures and even the theory of music. 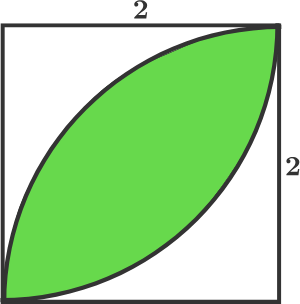 equations, eiπ = -1, sometimes known as Euler’s Identity. This equation combines arithmetic, calculus, trigonometry and complex analysis into what has been called "the most remarkable formula in mathematics", "uncanny and sublime" and "filled with cosmic beauty", among other descriptions. 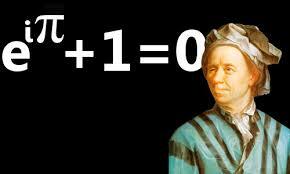 In fact, in a recent poll of mathematicians, three of the top five most beautiful formulae of all time were Euler’s. In 1766, Euler accepted an invitation from Catherine the Great to return to the St. Petersburg Academy, and spent the rest of his life in Russia. However, his second stay in the country was marred by tragedy, including a fire in 1771 which cost him his home (and almost his life), and the loss in 1773 of his dear wife of 40 years, Katharina. He later married Katharina's half-sister, Salome Abigail, and this marriage would last until his death from a brain hemorrhage in 1783.